West Burton is a charming, old-fashioned and peaceful working village set in the beautiful Yorkshire Dales National Park. 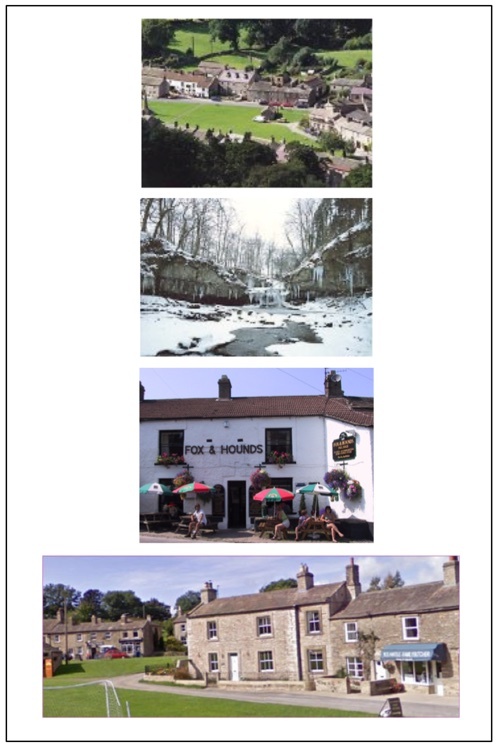 The village boasts a large village green, no through-traffic, good amenities and the 'West Burton Cauldron' - a pretty and exciting waterfall which flows downstream into the River Ure which hosts the magnificent Aysgarth Falls in Wensleydale. Situated in 'Back Nook', Inglenook Cottage is just a moment away from the heart of the village. A short walk will bring you to the village green where you will find the local well-frequented hostelry, the Fox and Hounds. The Fox and Hounds is a traditional Dales pub providing a very warm welcome to locals and visitors alike, offering a small selection of local cask ales along with national beers and lagers. The pub provides basic home-cooked food of sizeable portions! Reservations are strongly recommended at peak times given its popularity and welcoming atmosphere. Accompanied by adults, children are welcome in both the dining room and the bar, and have their own menu available. Around the village green, you'll also find a high quality Hartle's butcher's shop and a village shop, where you can stock up on locally prepared meats and essential groceries. The village shop is open six days a week (excluding Wednesdays). The shop sells an array of food including a fresh daily supply of fruit and vegetables, bread, milk, locally baked savoury pies, pasties & cakes along with a selection of frozen foods & basic groceries and newspapers. The village shop also provides a small tearoom for visitors. The village has many things to offer the visitor, boasting its own 'The Old Smithy' antique shop on the village green, a methodist chapel, village hall and also the Cat Pottery, home of the Moorside cats - a local family business specialising in the design and creation of ceramic, metallic and stone life-like cats. Only two minutes from the cottage at the bottom of the green, you will quickly come across the beautiful West Burton Cauldron - a magnificent natural waterfall sight at any time of the year. So much to see and so much to do in Wensleydale ... there are few places better to start than in West Burton.